These are some of the most commonly asked questions, if you have a question that hasn’t been answered here, please head to my contact page and reach out to me. 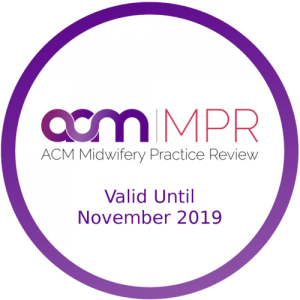 I am a registered Midwife, an eligible Midwife with endorsement, a registered Nurse and I have completed my Midwifery Practice Review (valid from November 2016-2019). In order to maintain my registrations and work evidenced based I complete 50 hours of Continuing Professional Development annually. What is an eligible Midwife with endorsement? An endorsement of my registration recognises that I have additional qualifications and expertise in an approved area of practice; in my case this is for scheduled medicines. Endorsement also includes the additional study I have completed in order to provide Medicare-funded care, order tests or ultrasounds and prescribe medications. All of my antenatal appointments and postnatal appointments (within the first six weeks after birth) attract a Medicare rebate. How much money do I receive back from Medicare? The amount of rebate you receive depends on your circumstances, including how much out of pocket costs you have paid for medical expenses in the year. The Medicare Schedule Fee is paid if your family has reached the Medicare safety net of $399.60. A Medicare benefit of 85% is paid to families who have not yet reached the Medicare safety net threshold. Why would I employ you and not a lactation consultant? Midwives and Lactation Consultants have a similar skill mix, yet it is still quite different. Midwives are highly skilled and experienced at teaching new mothers how to breastfeed their newborns in the first six weeks. Lactation Consultants are breastfeeding specialists who solve the problems which can arise, anytime, throughout a mothers breastfeeding relationship. Studies indicate the majority of causes of breastfeeding problems are from incorrect positioning and attachment in the early days and weeks. My goal is to teach you the correct technique at the start of your breastfeeding journey, in the hope you wont encounter these challenges. Lastly, unfortunately Lactation Consultants cannot give Medicare rebates, yet as an eligible Midwife with endorsement, I can. Do you work with lactation consultants? I adore Lactation Consultants and proudly work in collaboration with them when necessary. Why can’t I just get help from the midwives in the hospital? Postnatal wards are extremely busy places. Midwives each have four, sometimes five, mothers (all with babies) to care for. Supporting a new mother with a full breastfeed takes time and often midwives simply cannot allow enough time to each individual mother. As a private Breastfeeding Consultant, I am able to devote my energy to you and only you. I will support you through a full breastfeed, plus provide you with loads of helpful education to build your confidence and independence at attaching your baby to the breast. Based in Melbourne, Victoria, I service the CBD and south-eastern suburbs. If you live outside this catchment area travel expenses may apply. Please contact me for more details. I will happily provide appointments while you are in hospital or at home. All major credit cards, direct debit or cash.